The Rev. 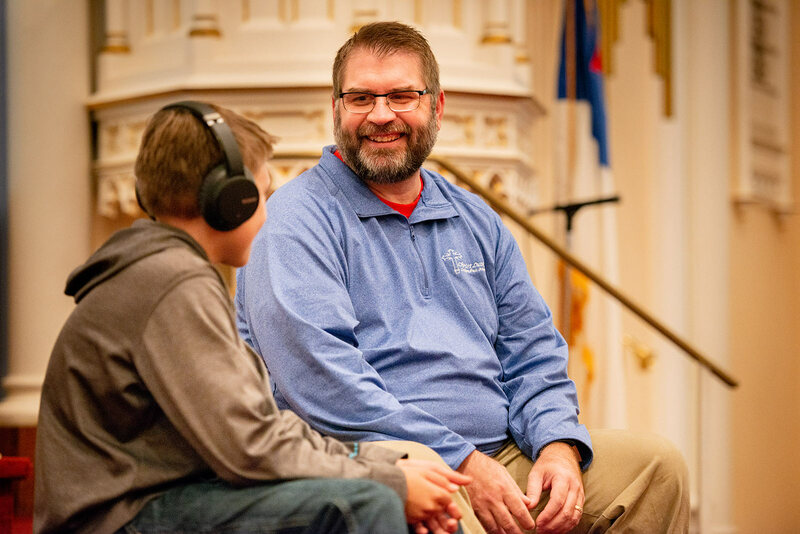 Aaron Witt, pastor of Christ Lutheran Church, Columbus, Neb., says if you find yourself in his neighborhood, chances are good that you’re lost. The church is not actually in Columbus, but about 12 miles out of town in the middle of a cornfield, and people “don’t just drive by.” Three miles west of Christ, at the corner of an intersection bordered by crops, is a stone sign for the church, complete with its founding date — 1871 — that beckons drivers eastward. 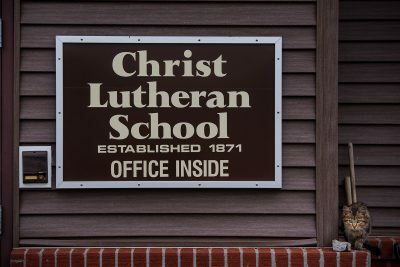 Even with the sign, Witt says the location makes it a little difficult to get the word out about Christ Lutheran School. 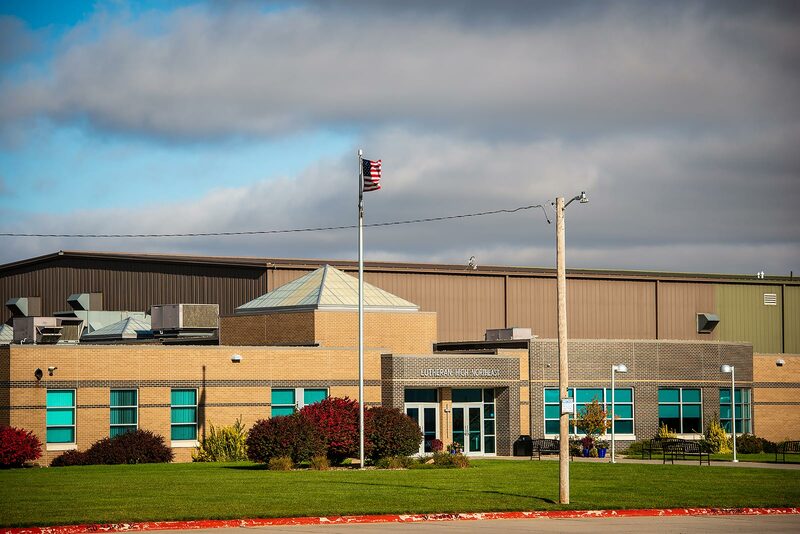 Nevertheless, this small K-8 school — the current enrollment is 27 in three multi-grade classrooms — has been teaching God’s Word to children for almost 150 years. It started as a one-room school in 1871, and a new building was completed in 1949. Some people spend their entire lives here, attending the school as children, raising their own families in the church, and watching their grandchildren and great-grandchildren do the same. 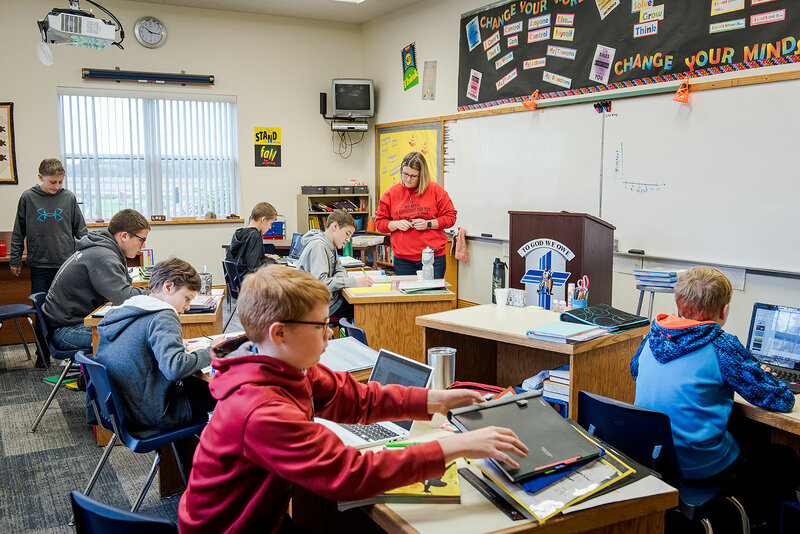 Teacher Amanda Richards works with her middle-school students during class. 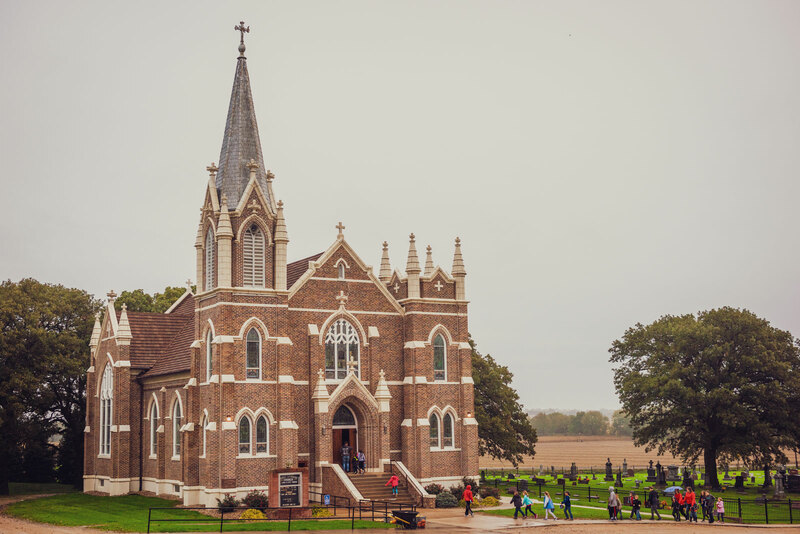 On a recent rainy Friday, students walked down the sodden path from the schoolhouse to the church, passing the cemetery as a pair of outdoor cats scampered around. In the church, Witt led chapel and Karla Dixon, the school administrative assistant, played piano. Upperclass students served as acolytes, and younger students slumped over the pews with a sleepy look in their eyes. Everyone sang “What a Friend We Have in Jesus.” In chapel, older students are assigned to the younger ones, and prayer partners from the congregation are assigned to various children. It’s much the same now as it was decades ago. Witt says some of the oldest members remember attending the school when the teacher would go home during lunch and students would slide on the ice at the nearby creek. 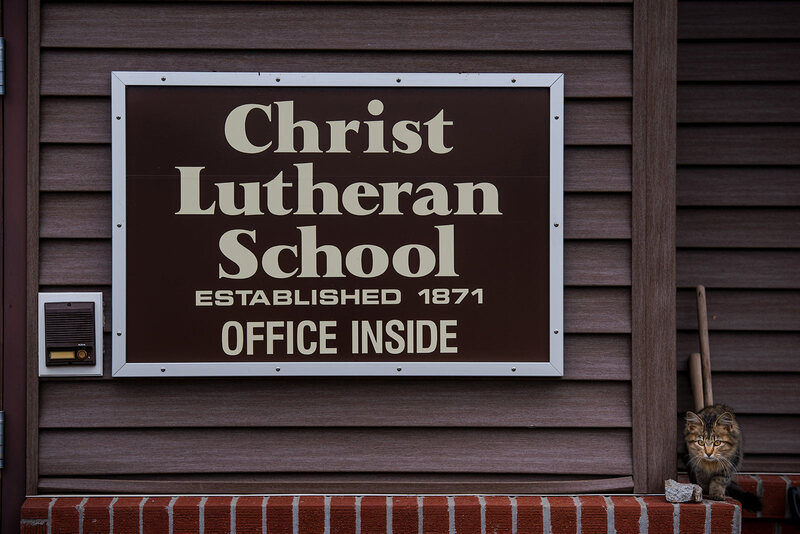 It’s part of what gives Christ Lutheran School the feeling of being a family. 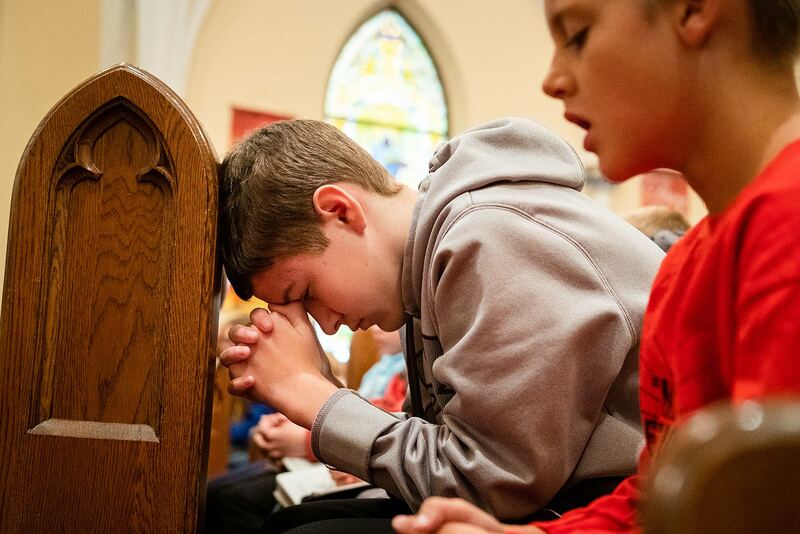 Eighth-grade student Kavan Splittberger states it simply: “Everybody’s friends.” He’s used to being at church on Sunday with his friends and then seeing them again on Monday. 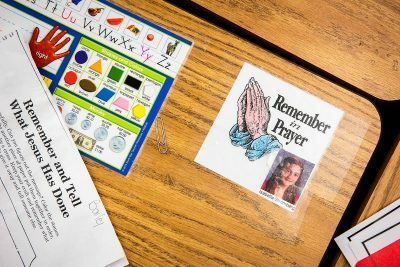 Witt knows each student by name as a child of God and nourishes their faith in the sanctuary and in the classroom. Eighth-grade student Kavan Splittberger prays in chapel. “Everybody’s friends,” says Splittberger. 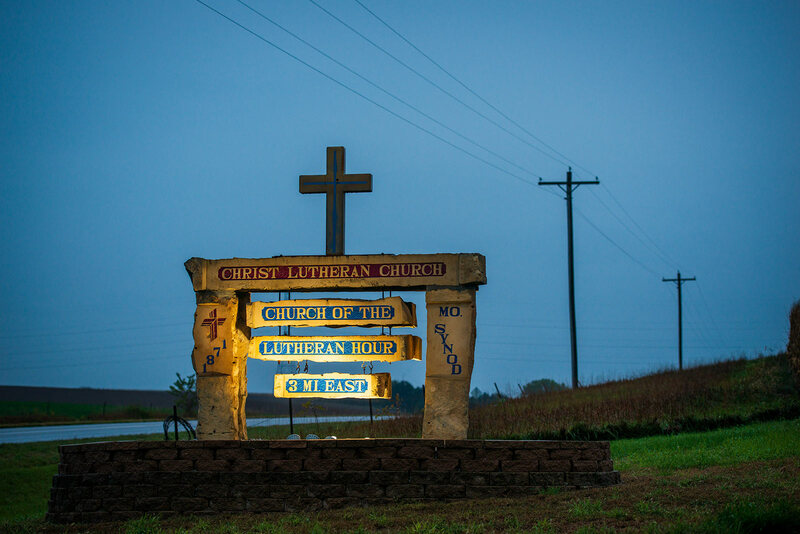 About 45 miles to the north, in Norfolk, Neb., is Lutheran High Northeast (LHNE). The town is the boyhood home of celebrity talk show host Johnny Carson, and visitors to the small downtown can see a large mural of his career on the side of La Macarena Tienda, a Mexican store and restaurant. 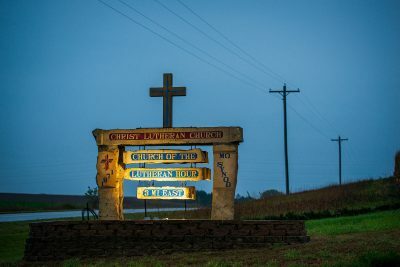 Nearby also is the home office of Orphan Grain Train, which routinely works with LCMS Disaster Response to bring needed relief supplies to disaster areas around the world. With about 115 students, LHNE is larger than Christ Lutheran School, but it has the same family atmosphere. “The teachers genuinely care about you,” says LHNE senior Jeremiah Nichols. 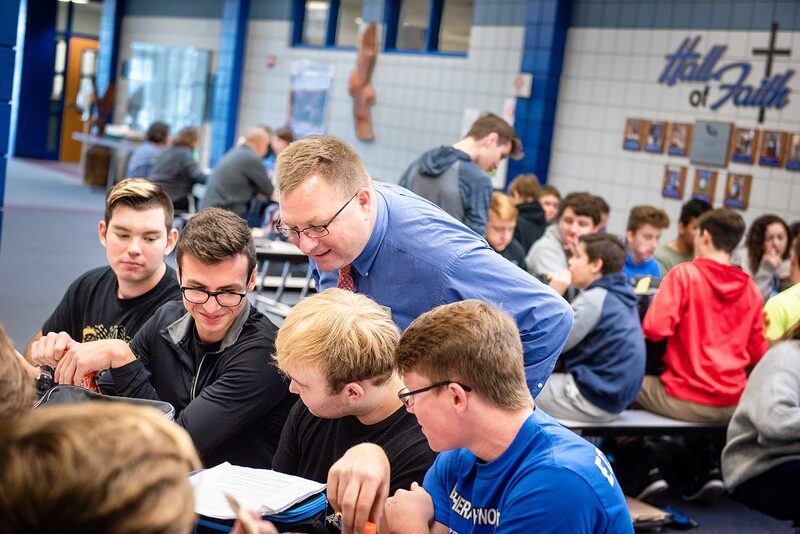 LHNE Principal Daniel Sievert chats with students during lunch. 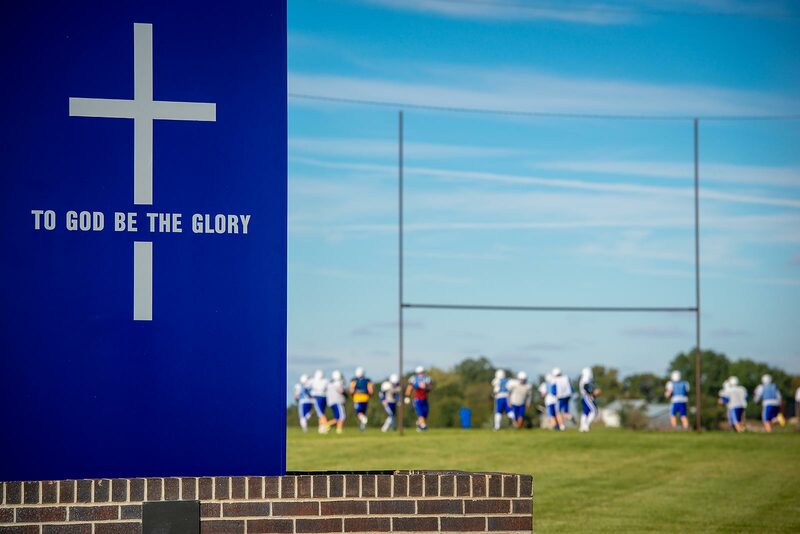 “To God be the glory” is written on the blue exterior sign along Good Shepherd Drive. 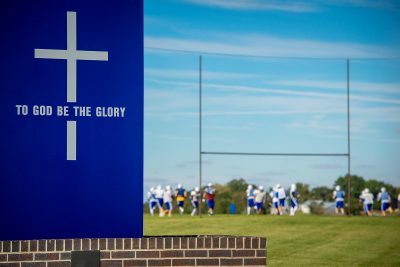 On a blue locker inside, a student involved with cross country has posted another sign that says “Run for the One” with a cross beneath it. 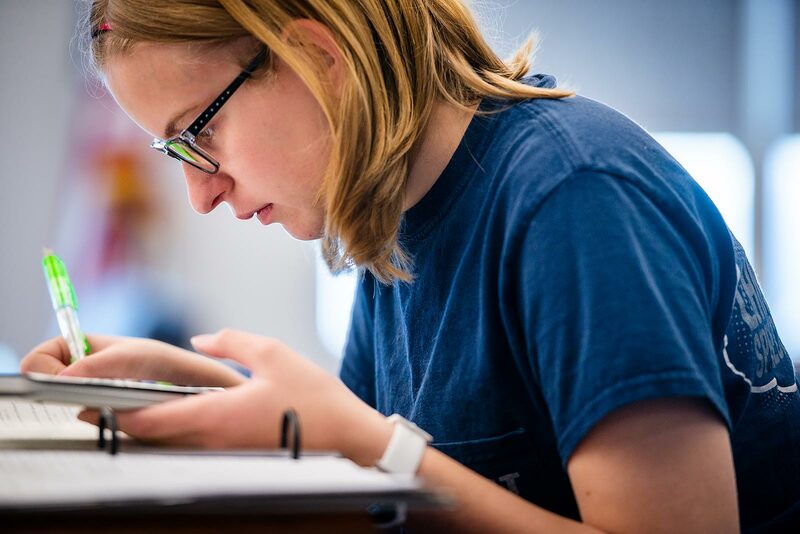 “I’ve been able to develop the strong faith that’s been able to get me through a lot of hard things and a lot of good things,” says LHNE senior Julia Witt. A hallway at LHNE has a cross with the words “Shine His Light” painted on it. 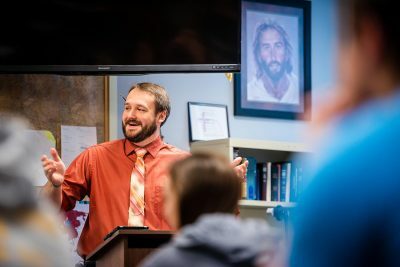 That’s what both of these Lutheran schools in the heart of Nebraska are doing as they teach young people to carry that light of Christ into their communities and the world beyond. Heavenly Father, before His ascension, Your Son said to teach all that He commanded. 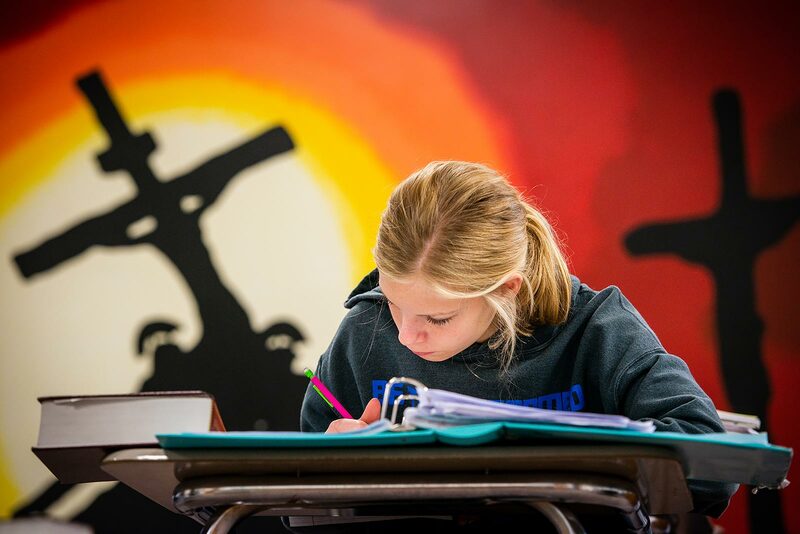 Bless the work of Lutheran schools, that all who attend might hear of Your saving love in Christ. Provide also for the parents who send their children, that they, too, might hear of and trust in Your grace and mercy. We thank You for the teachers and pastors who work in and through Lutheran schools. Continue to be their strength and focus in all they do, that all might finally rejoice in Jesus Christ, our Lord. Amen. Erik M. Lunsford | Managing photojournalist for LCMS Communications. Cheryl Magness | Managing editor of Reporter.